After a spate of mega-deals and “tuck-in” acquisitions, things seemed to have calmed down in work comp services M&A. In reality, there’s a lot going on – for reasons I’m not sure make sense. There’s been consolidation throughout work comp services; every niche from pharmacy management to MSA vendors to networks to IME firms to case management to TPAs has gone thru this. There’s been both vertical (companies in the same business merging (e.g. EXAM buying IME companies) and horizontal deals (companies in dissimilar areas joining forces (e.g. Mitchell buying MCN). While your take on this depends on where you sit, (e.g. fewer vendors bidding on a payer’s business), there’s another, arguably more important issue here. I’m going to caution buyers to not conflate scarcity with value. I’m seeing renewed enthusiasm among both strategic and financial buyers in companies that weren’t that exciting just a couple of years ago. Those heretofore-not-exciting companies seem to have gotten much more attractive now that there are far fewer potential acquisition targets available. This is just human nature; we tend to value things more when there are few of them. A horrifically crappy car rushed into production during the gas crises of the early seventies, thankfully there are few left in circulation. 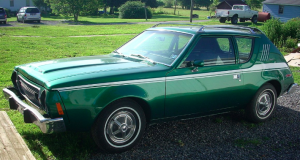 Even worse, the AMC Gremlin (why a company would name a product after a manufacturing defect is one of the great mysteries of the Universe). Why? because there are few of them left. That doesn’t make these awful examples of design and engineering incompetence any better, it doesn’t make the build quality less than horrific, and it sure doesn’t make them any more visually attractive. Before you plunk down your (or your investors’) hard earned cash on some company you passed on or wouldn’t have given a second look at a few years ago, you may want to ask if it passes the Gremlin Test. Good article Joe . 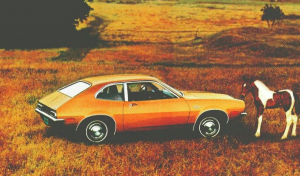 Strangely, I suddenly wish I still had my first car back – 1976 Pinto that I bought for $500!! My most sincere apologies Peter!